University Malaysia Pahang (UMP) had two major problems to crack: spending money on-campus, and fake graduates touting fake certificates. So they’re using blockchain to fix these issues. Blockchain has gained some attention lately, especially now after the cryptocurrency boom. 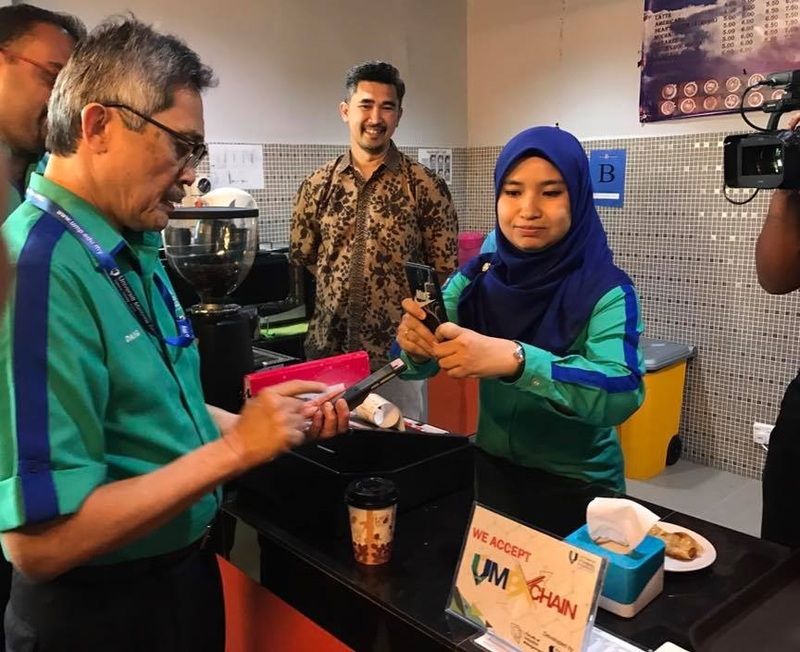 According to this Facebook post by UMP, the system was developed using the expertise of Pusat Kecemerlangan IBM in collaboration with Fakulti Pengurusan Indusri. The apps were launched yesterday by the vice-chancellor Prof Datuk Seri Dr Daing Nasir Ibrahim in UMP Gambang. Currently, we were unable to find the apps on Google Play or Apple App store. Validating graduate certificates with Valid8. The name says it all; the Valid8 function does exactly what you expect. Certificates from the university will now tout QR codes. Scanning using the Valid8 app will reveal a graduate’s full name, picture, programme of study and year their degrees were awarded. The university has decided on blockchain as an anti-hack measure to protect the sanctity of its certificates. After all, last year showed us how easy it is to get a fake certificate in Malaysia. A high-profile example includes motivational speaker Dr. Azizan Osman, whose many doctorates appear to be fake. This way, UMP are thinking one step ahead and ensuring that no one can even hack the system to insert their fake credentials. In fact, to help the Malaysian certification quality overall, UMP is offering Blockchain Certification Authentication to any institutions or agencies that want to collaborate. Paying for anything on-campus with the UMP XChain app. The XChain app is a mobile wallet app for use on-campus. Students and staff will be able to pay for cafeteria food, shop for fares, and most importantly, pay for anything in relation to their education’s finances. All they need to do is to top up using e-banking sites like Maybank2U and CIMB Clicks. This means that there’s a possibility students can pay for any university fees with XChain. Users will be paying using QR codes or even better, Near Field Communication. Basically you just wave your phone at the terminal and it’ll record your payment. Think Alipay or payWave with your phone. Daing Nasir aims for at 11,000 students on the XChain app, and is optimistic that the “cashless culture” can expand to a higher level by stages. For now, we’re not clear if the university aims to phase out cash completely. Would this be done over a long term? Or would this be too difficult and unfair to students without functional mobile phones? This is a great development in Malaysia’s blockchain movement. Malaysia has been experiencing something of a cryptocurrency frenzy, particularly with Bitcoin. There are tonnes of Malaysian gerais that are loud and proud about accepting cryptocurrency—even that recent news about a Seri Kembangan Proton dealer. We think that UMP’s approach is actually a healthier one towards blockchain-related money. Investing in Bitcoin sure is appealing, but using blockchain to solve actual problems plaguing you is a much better approach to the available technology. You won’t get into any issues once BNM issues a crackdown too. Plus, as far as we can observe, e-wallets are shaping up to be a big trend of 2018. It helps legitimise of the cashless movement in Malaysia too, especially from an education body like UMP. Valid8 in particular showcases a problem-solving mindset that is crucial to the health of the tech industry. Experimenting the hell of it has its benefits. But when it comes to actually launching a product, we think crafting the product after a real problem creates a better industry overall. 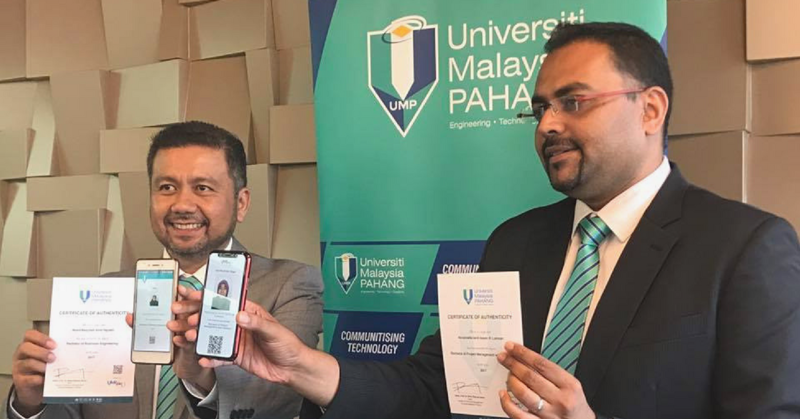 Universiti Malaysia Pahang (UMP) has just launched two apps using blockchain to make university life easier. The first is the Valid8 app, which will scan QR codes on graduation certificates to reveal if they’re fake. The information is made unhackable using blockchain. The next is the XChain app, which will be the mobile wallet for use on the UMP campus. They aim for 11,000 students to be on the app to promote a cashless culture. With the ongoing Bitcoin frenzy in Malaysia, we think that this is a healthier application and advancement of blockchain technology, especially if it helps solve real problems and help us be on the same level as more developed countries.